We custom manufacturer toroidal transformers suitable for all normal transformer applications. Our range starts at 500VA and goes up to 10kVA. 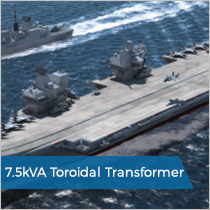 Toroidal transformers can often lower overall product costs whilst enhancing performance. Our range is manufactured to optimise efficiency, reliability and reduced core losses. We are a UK based toroidal transformer manufacturer. Our team of experts use state of the art facilities and have a wealth of experience. We can supply even the most bespoke of solutions to match your requirements. Regardless of your transformer requirements, our team can offer the best design and technical advice in the UK. We can custom make every transformer to your needs. Being a specialist toroidal transformer manufacturer, we design specifically to meet all of your needs. The range of core sizes available allows the designer greater scope to meet the customer’s dimensional requirements. R Baker (Electrical) Ltd manufacture to a number of standards, typically EN61558, EN60950, EN60601 and UL506. However should a specific standard be requested we can design the transformer around these standards. We work with all the leading testing and quality authorities such a BSI, DNV, Lloyds, NSN, Nemko and VDE to give you total peace of mind. Since 1982, we have been supplying the leading engineering companies in the UK. This includes many in the defence, rail and marine sectors, all in challenging environments. These companies entrust us to deliver reliable, bespoke solutions to their engineering requirements. We are committed to providing the highest level of customer service in the industry. Also our procedures and quality controls are independently monitored to BS EN ISO 9001:2000. 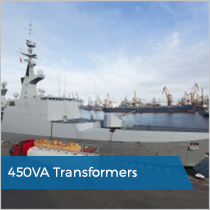 Over the years we have built an unrivalled wealth of experience when designing and building transformers. Therefore we can offer excellent technical advice. We offer a custom built transformer service, ensuring we can assist you whatever your requirements are. We also offer a Transformer rewind service. Regardless of brand or application, we are here to help with all transformer rewinds. Not only can we rewind transformers, we can also reverse engineer damaged transformers. This means we can manufacture new transformers which are past being rewound. We have confidence in our manufacturing team’s ability to include you in every step of the manufacturing process. Our client required us to manufacture an open style 50/400Hz toroidal transformer; designed to step down the incoming voltage. This was designed to meet military specification for application with a weapons system. A typical toroidal transformer that we manufacture and repair for defence applications is a 7.5kVA toroidal transformer enclosed within an aluminium case. All of the military transformers (NSN / NATO) which we manufacture and repair for defence applications fully comply with the shock and vibration requirements of NES 501 and DEF STAN 02-535.